We offer the FlexNT for £300 (£100 deposit required). 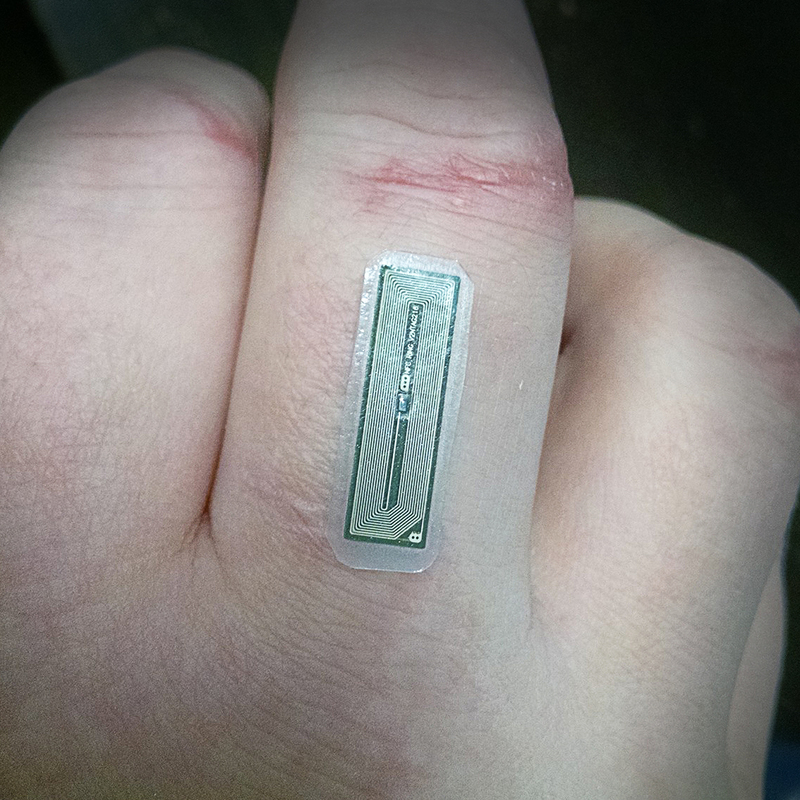 The FlexNT NFC RFID Microchip Implant is one of our next generation, high performance, RFID and NFC compliant transponders. The flexNT is coated in USP Class VI, ISO 10993 tested biopolymer which gives it an extremely thin profile and flexible structure suitable for installation just about anywhere. The FlexNT has a higher read range than the bioglass version (xNT) but requires a more invasive insertion procedure. The FlexNT microchip implant insertion takes around ten minutes via scalpel incision. We use non-dissolvable suture stitches to close the 8mm opening which will need to be removed around 8 days later. The swelling will dissipate over 2 weeks. Video here – GRAPHIC WARNING. We recommend the use of topical anaesthetic for this procedure – full details here.